Tickets are $33 in advance, $38 day of show (including all service charges). They are also available by phone through Hold My Ticket at 505-886-1251. 21+ ages. 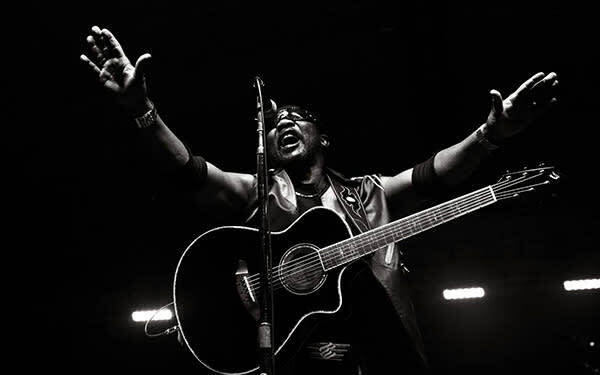 Toots is one of the true architects of reggae—so much so that "Do the Reggay," a 1968 single by Toots and his group, the Maytals, is credited with giving the genre its name. Classic songs written and recorded by Toots and the Maytals have been covered by the likes of the Clash and the Specials, and the group was featured in reggae's greatest breakthrough event—"The Harder They Come," the 1972 film that became an international sensation. The all-star guests on the 2004 album True Love ranged from legends like Keith Richards, Eric Clapton, and Bonnie Raitt to younger stars including No Doubt, the Roots, and Phish's Trey Anastasio. The caliber of these collaborators reveals the impact that Toots has had on several generations of rockers and rappers, while appearances from reggae icons Bunny Wailer and Marcia Griffiths show the respect granted to the man who might be the music's greatest living vocalist. 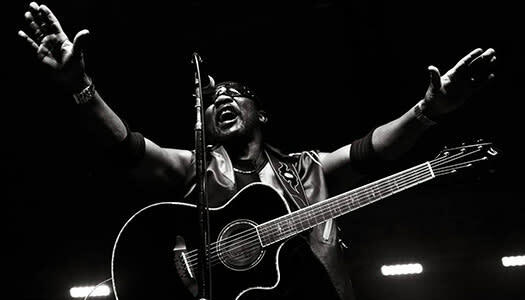 At the heart of it all is that voice drenched in soul, rooted in gospel, and still breathtakingly powerful after almost four decades in the spotlight. Founded in 1965 by Albert Griffiths, The Gladiators have released some of the most mythical songs of Jamaican reggae. With blockbusters like "Hello Carol," "Bongo Red" and "Jah Works," they have enchanted audiences around the world for over four decades, with music that holds fast to the cultural roots of the musicians' ancestors, yet still pushes forward the vanguard of the reggae music world. The Gladiators started out as a vocal trio but with the departure of the two other singers, Albert Griffiths took the leadership. In 2004, he decided to stop touring, and at first, he passed on the torch to his sons Al on vocals and Anthony on drums. Together, they recorded the album Father and Sons in the Anchor studio in Kingston. 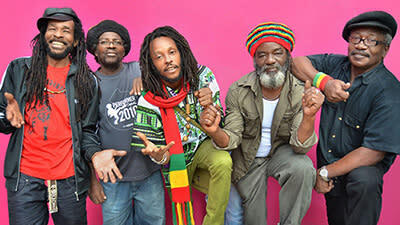 After a few tours in this line-up, the historic members of The Gladiators and Anthony Griffiths, who remains the drummer of the band, chose Droop Lion to be the new singer thanks to a voice that echoes the original singer and a promising solo career which includes his 2011 hit "Freeway." With this modern reggae vocal prodigy at the helm, it's just as authentic and captivating an experience as ever.